We offer prostrations and heartfelt thanks to His Holiness for his enormous kindness in offering all the empowerments from the treasure cycles of Apong Terton, the first time this transmission had been offered in this way. Sangha members from all over the world gathered for four days to receive the empowerments and be blessed by His Holiness' presence. The event ended on Sunday afternoon with a beautiful Red Tara tsog led by His Holiness, a very moving occasion also because this was the practice that His Eminence Chagdud Tulku Rinpche had introduced to so many people over the years. Thank you very much to all those who offered support over the last months to make this event happen, and may all beings benefit! 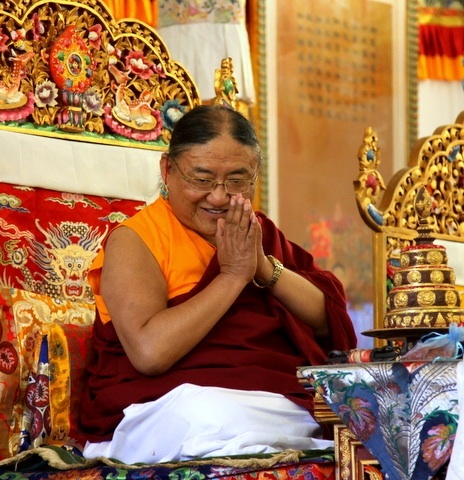 For more information on His Holiness Sakya Trizin and his 2011 US tour, click here. This beautiful Red Tara tsa-tsa, 6 inches in height and presented in a gift box, is available from PPI's Lotus Light store for US$85. Also available are commemorative copies of the complete Red Tara text ($25), with Tibetan, plus inserts for various prayers and HH Sakya Trizin's long life prayer. At a later date we will be offering photos of the Red Tara thangka specially commissioned for the occasion, which shows H.H. Sakya Trizin and H.E. Chagdud Rinpoche above the main deity. Apong Terton was born in Tibet in 1895. 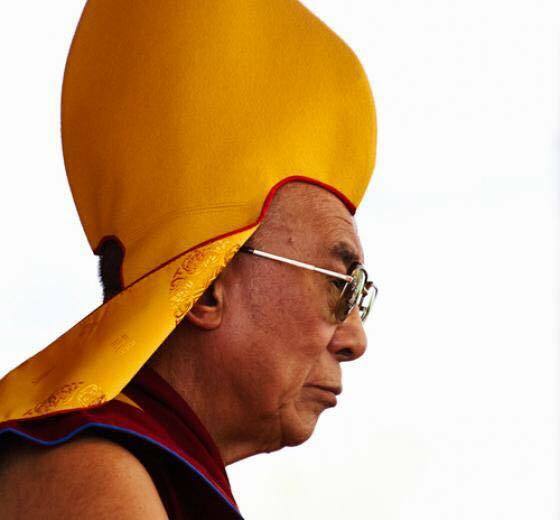 During his lifetime he served as sublime lama to great lamas, a spiritual guide to powerful rulers and a teacher to both monastic and lay practitioners. He gained accomplishment in many profound practices, transmitted the Nyingtik cycles of Dzogchen teachings and revealed his own termas. 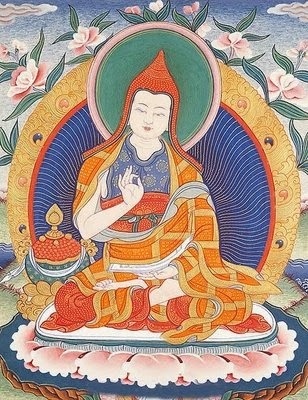 In his earlier incarnation as Prince Mutik Tsenpo, he was entrusted by Guru Rinpoche with many treasures, later to be revealed by him as Orgyen Trinley Lingpa. Before Apong Terton passed away, he said he would enter the bloodline of the Sakya, and in 1945 was indeed reborn as His Holiness 41st Sakya Trizin. In the early 1960s, the yogi Jangchub Dorje, ageing custodian of Apong Terton's transmissions, went to India in order to give the transmission to His Holiness as previously instructed by Apong Terton. 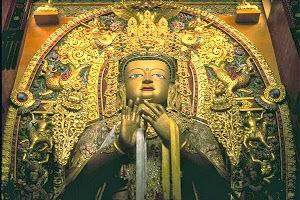 His Eminence Chagdud Tulku Rinpoche had the great good fortune to encounter Jangchub Dorje on his way to meet HH Sakya Trizin, and at that time Chagdud Rinpoche received the Red Tara cycle transmission from him.